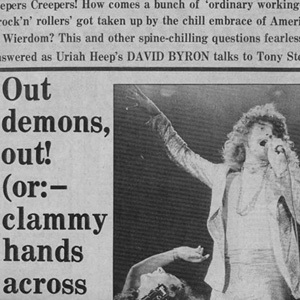 This website is dedicated to David Byron, the voice of classic Uriah Heep. 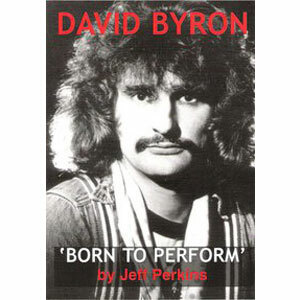 David Byron (real family name Garrick, later changed to Byron) was born on January 29, 1947 in Epping, Essex, England. He enjoyed singing since he was a kid. In 1966 David became a member of a semi-professional band, The Stalkers, founded by Mick Box. In 1967 David and Mick founded Spice, and around that time David changed his family name to Byron. 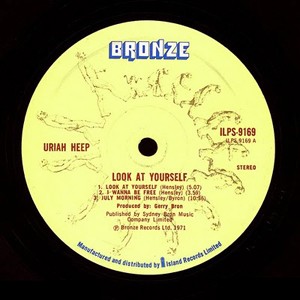 In 1970 Spice were renamed to Uriah Heep after Ken Hensley joined the band. With Uriah Heep David recorded nine studio and three live albums. 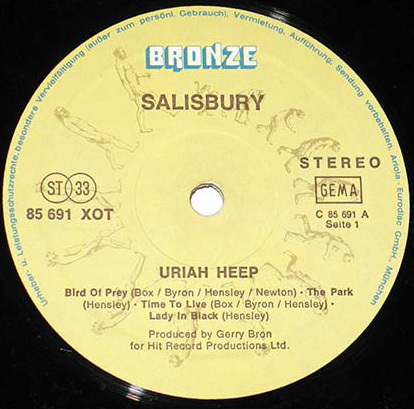 Members of Uriah Heep also took part in recording of his first solo album, “Take No Prisoners” (1975). In 1976 David was fired from Uriah Heep. The reason for that was his conflict with the management and members of the band. His next venture was Rough Diamond: with this band he recorded an album (“Rough Diamond”, 1977). He also recorded a second solo album, “Baby Faced Killer” (1978), and in 1981 he founded another band, The Byron Band (“On The Rocks”, 1981). David passed away on February 28, 1985. This website was originally addressed to Russian fans of David Byron and classic Uriah Heep. 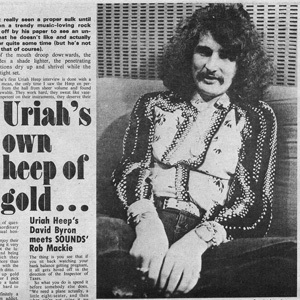 Hopefully the English-speaking fans of David Byron and Uriah Heep will find some interesting information here, too, as the English version of the website hosts several interviews and articles about David originally published in British and American magazines in the ’70s. Special thanks to Ron Mann (davidbyron.net). Concept, design, implementation and technical support of the www.david-byron.ru website – Elena Stepanova. Articles, reviews, translations, discography – Elena Stepanova, Igor Shveytser. 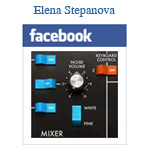 Elena Stepanova is a musician, sound producer, and journalist. Her articles on the history of music technology and legendary musical instruments were published in the Russian professional audio magazines (see also her website, www.1000tracks.ru). Elena’s research interests in Uriah Heep are focussed on the history and music of the classic line-up as well as David Byron’s and Ken Hensley’s solo works. She writes and produces electronic music specializing in experimental electronic, ambient, and New Age genres as well as sound art (you can listen to her tracks online at www.etherstrings.ru). Igor Shveytser is a journalist specializing in sports journalism, and amateur musician. A fan of Uriah Heep since 1990, he studied classic rock music for many years. Since 2000 he contributes articles for the «InRock» magazine. Igor’s interviews with Ken Hensley (2002-2004), John Lawton, Phil Lanzon (2013), live reports and CD reviews as well as his articles on the history of rock music were published in the «InRock» and «Era DVD» magazines and on headbanger.ru (see also Interviews section at www.ken-hensley.ru). Igor’s interests are not limited to the classic era of Uriah Heep.